The role of entrepreneurs in finding innovative ways to turn creativity and ingenuity into new products and new technologies was heralded at two separate events in Geneva as crucial to driving future economic growth. 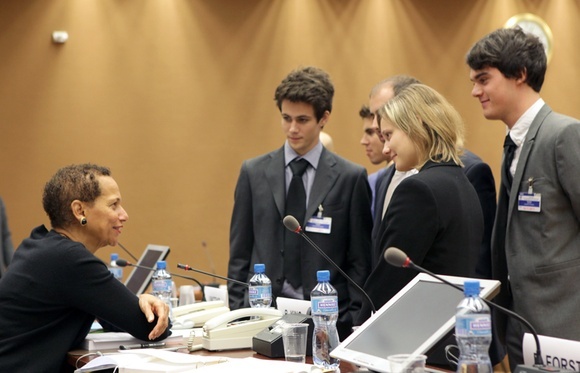 Geneva was one of 123 cities around the world to host events and activities for young entrepreneurs celebrating Global Entrepreneurship Week (November 14-18) with a focus on encouraging green and social business ideas. Keynote Speaker, Betty King, the US Ambassador to the UN in Geneva, made a strong pitch for what she called disruptive innovators, those whose ideas were born in a garage yet transformed the world. At a separate conference few doors away, the World Intellectual Property Organization (WIPO) released its annual report on “The Changing Face of Innovation” which noted that WIPO is facing a growing demand for patent protection from entrepreneurs around the world. Traditional technology innovators like the US, Japan, France, Germany and the UK may still file the most patent requests and account for 70 percent of global research and development spending but the geography of innovation has shifted with a surge in applications from China, India and Brazil. The increase in patent applications over recent decades has created a backlog of pending applications with a current wait of an average of two and a half years. WIPO chief economist, Carsten Fink, noted that this has had a discouraging effect on many young entrepreneurs.